Faster and faster, more and more efficient…. From the first steam engines to the high speed train, including vintage locomotives, the railway world has always been at the cutting-edge of progress and of technological innovation. On responding to today’s, and above all tomorrow’s, challenges, Lantek has become an essential benchmark for train and railway track sector companies, helping them in their digital transformation process towards Industry 4.0. Apart from being specialists in oxycutting, plasma and laser cutting, water-jet cutting and metal sheet punching, Lantek is also a pioneer in personalised management software solutions (MES/ERP). Lantek software is the fruit of more than 30 years’ experience and close collaboration with the manufacturers and end users; it perfectly combines machine technology with programming and management needs of the railway companies. The company’s software range is not only used to manufacture specific parts for the construction of trains and tracks, but also to optimise all manufacturing processes. “Lantek provides the railway industry with a guarantee of safer and smarter mobility, thanks to the total control of the manufacturing processes. We provide a global and future-looking vision of transport means on railway tracks. Our objective is no other than to offer manufacturers new and efficient solutions, which bear in mind the needs of the end users, the safety restrictions and the continually evolving technology”, explains Alberto Martinez, general manager of Lantek. All the parts designed with these software programs are designed to respond to both the manufacturers’ and the passengers’ comfort level and demands. Ergonomics, materials used, cutting shapes, not forgetting distribution and assembly. Lantek is present all over the world, and its priority goal is geographical proximity with its customers; only thus, can it attend to the shortest lead-times. This reaction capacity is highly appreciated by the organisations that have decided to place their trust in the company, as is the case of the French company, Alstom: “It does not matter where its factories or its customers’ factories are: Lantek can intervene anywhere in the world”. With a specific software range for manufacturing trains and railway tracks, Lantek can provide an answer that adapts to each requirement and each specific case presented by the customer. There are many companies in the railway sector all over the world that are already using Lantek programs. These include Alstom in Brazil, Peru, Turkey, Spain and Italy, but also companies such as CAF Mechanics Metal in Germany; Global Transporte Industria Servicio, in Mexico and many others in different parts of the world. To improve profitability, Lantek Expert manages all the machine technology and calculates the time and cost per part and per metal sheet. It also includes a library of parametric parts and an open database that allows users to extract parts, manufacturing orders, sheet metal, etc. It suffices to indicate a series of data such as the material used, the thickness, the customer or the date to obtain information. Lantek provides an unsurpassable level of versatility, but enormous flexibility, too, both of which are essential requirements in Industry 4.0. 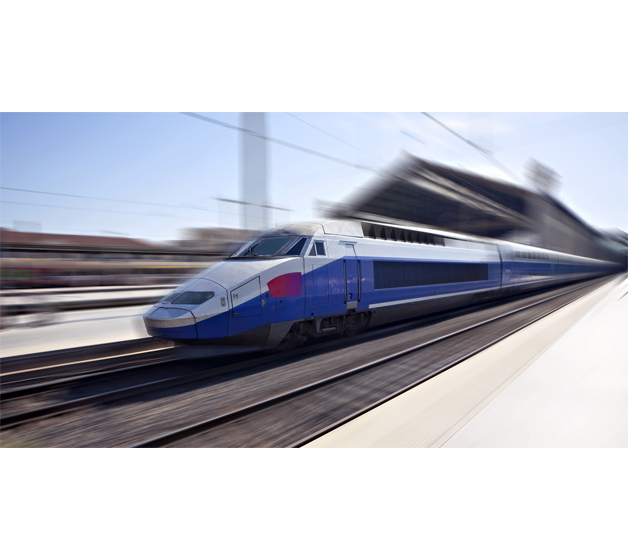 These competitive advantages enable it to adapt to each company's needs, problems and expectations, to stand out in the ultra-competitive railway industry market, and permanently seek new technical and technological advances.